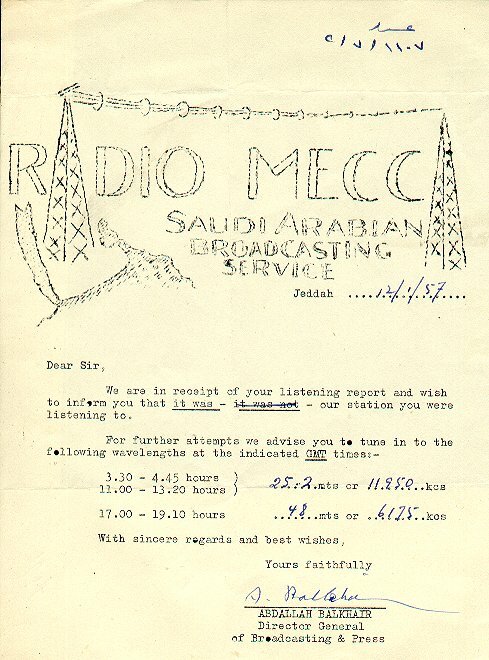 QSL letter from Radio Mecca in Jeddah in late 1956 on 11.950MHz. This verification letter is from Radio Mecca in Jeddah. This station was pretty difficult to receive on the West Coast.